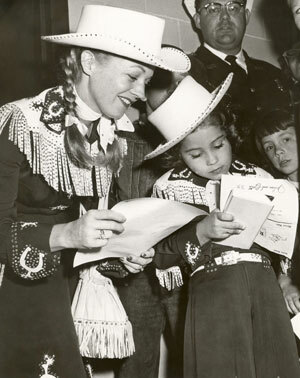 Gail Davis as “Annie Oakley” with daughter Terrie in the ‘50s. 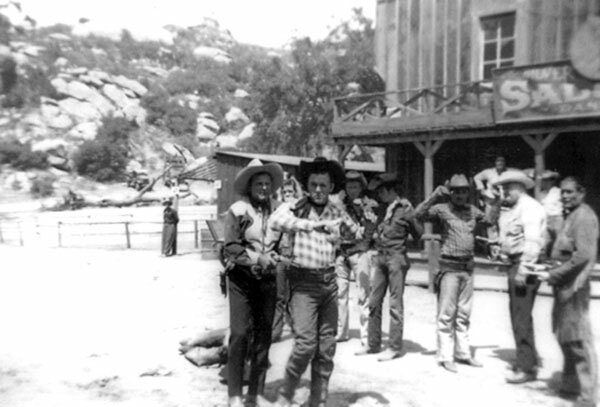 Ray “Crash” Corrigan puts a gun on a badman during one of his Corriganville shows. 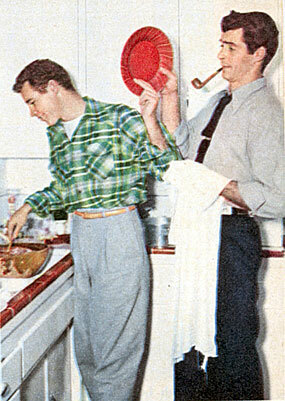 Circa 1955. 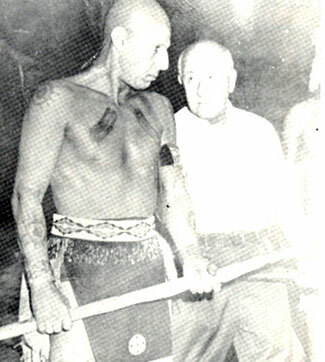 Chief Thunder Cloud and Max Terhune are on the far right. 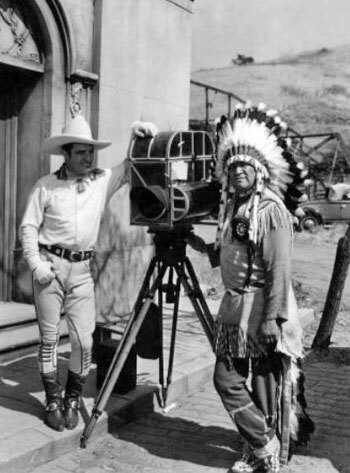 Tom Mix and Jim Thorpe on location for (probably) “My Pal the King” (‘32 Universal). 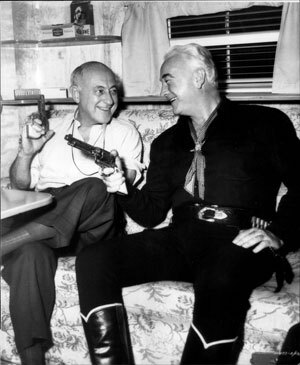 Director Cecil B. DeMille and Hopalong Cassidy compare six shooters. 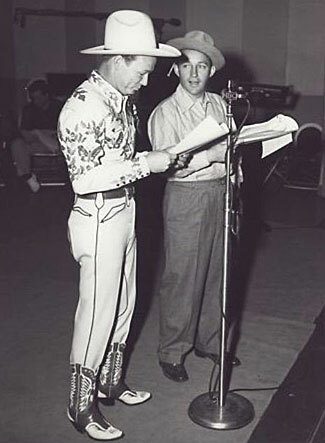 Roy Rogers joins Bing Crosby for a Crosby radio show rehearsal. 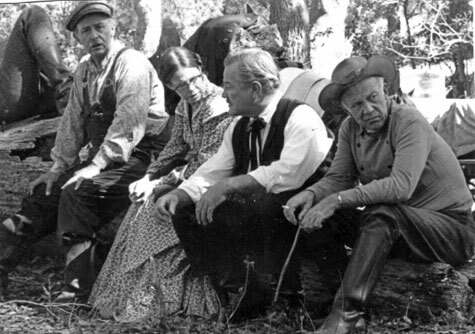 (Thanx to Jerry Whittington). 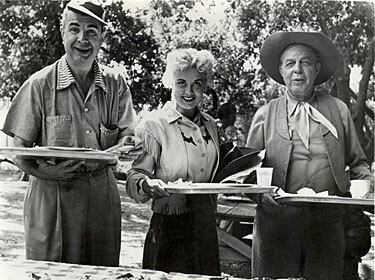 Even cowboy stars have to clean up and do the dishes after a party. 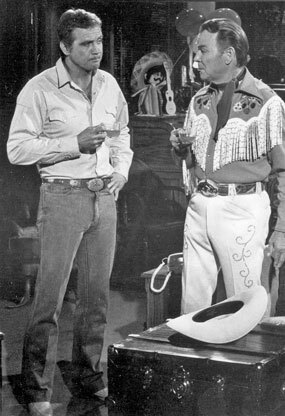 Guy Madison and Rory Calhoun. 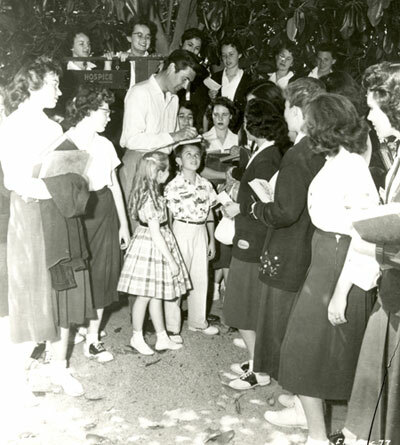 Fess Parker signs autographs for a group of female fans. 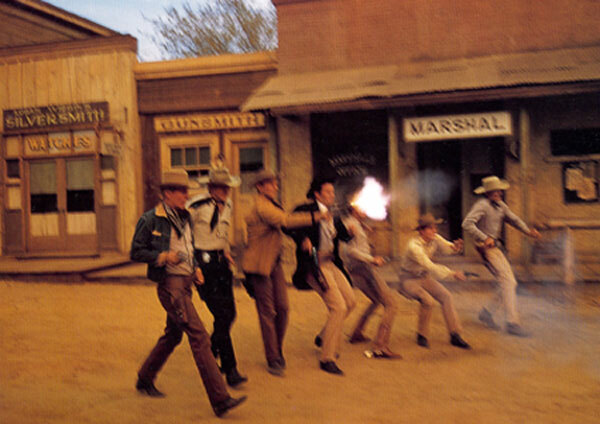 Pity the poor badguys up against the Warner Bros. cowboys! 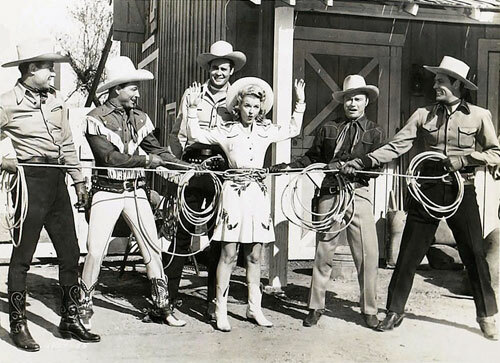 (L-R) Will “Sugarfoot” Hutchins, Wayde “Colt .45” Preston, Jack “Maverick” Kelly, James “Maverick” Garner, Ty “Bronco” Hardin, Peter “Lawman” Brown and John “Lawman” Russell. 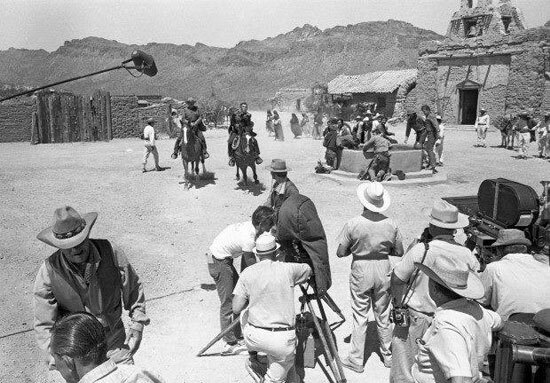 Sammy Davis Jr. was a huge Western fan. 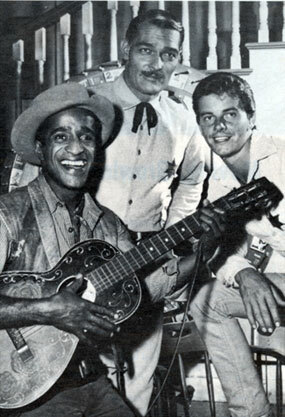 Sammy guested on “Lawman” with John Russell and Peter Brown in the “Blue Boss and Willie Shay” episode in ‘61. 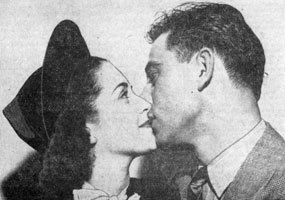 In late 1936 B-Western actress Kay Hughes and film cameraman Durward Graybill eloped to Ensenada, Mexico, but returned to L.A. for their nuptuals because an Ensenada magistrate wasn’t to be found on their arrival. 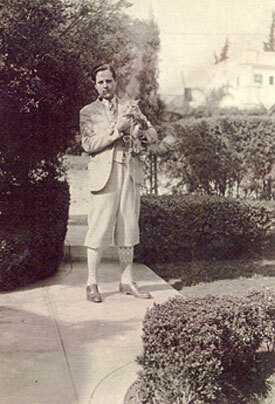 He’d apparently gone to view developments in a local maritime strike. 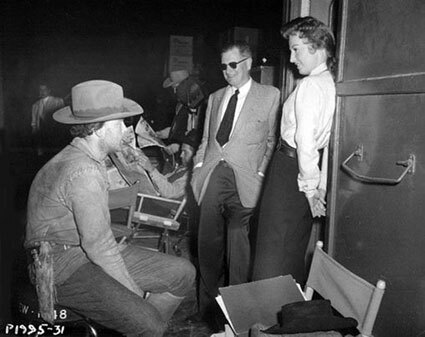 1936 was the year Kay co-starred in “The Vigilantes Are Coming” serial with Bob Livingston as well as “The Three Mesquiteers” and “Ghost Town Gold” with the Three Mesquiteers and “Ride, Ranger, Ride” and “The Big Show” with Gene Autry. 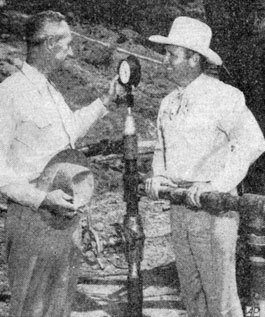 S. D. Johnson of Wichita Falls. 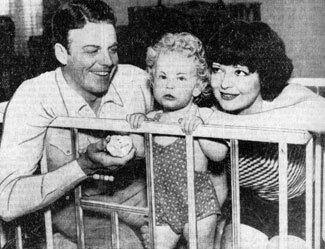 Circa late ‘40s. 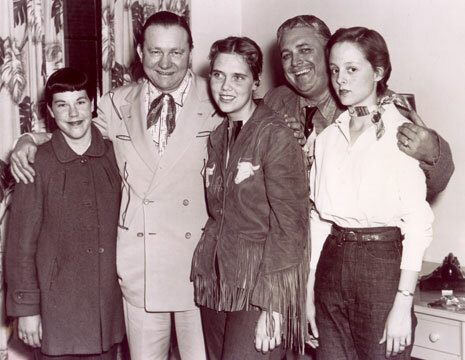 Tex Ritter in 1956 with members of the Dodge City, Kansas, 4-H clubs. 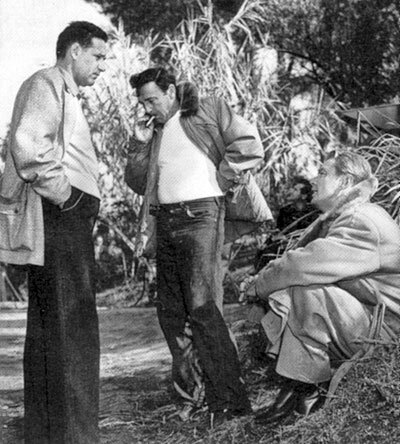 Director Gordon Douglas (center) confers with producer Marty Rackin and Alan Ladd during the shooting of “Santiago” (‘56) set in Cuba during the 1898 conflict between the U.S. and Spain. 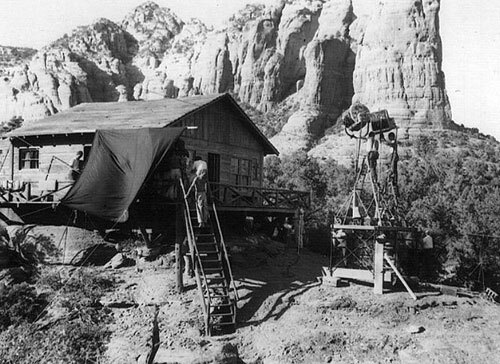 A set for “Johnny Guitar” built at the foot of Coffee Pot Rock in Sedona, AZ.